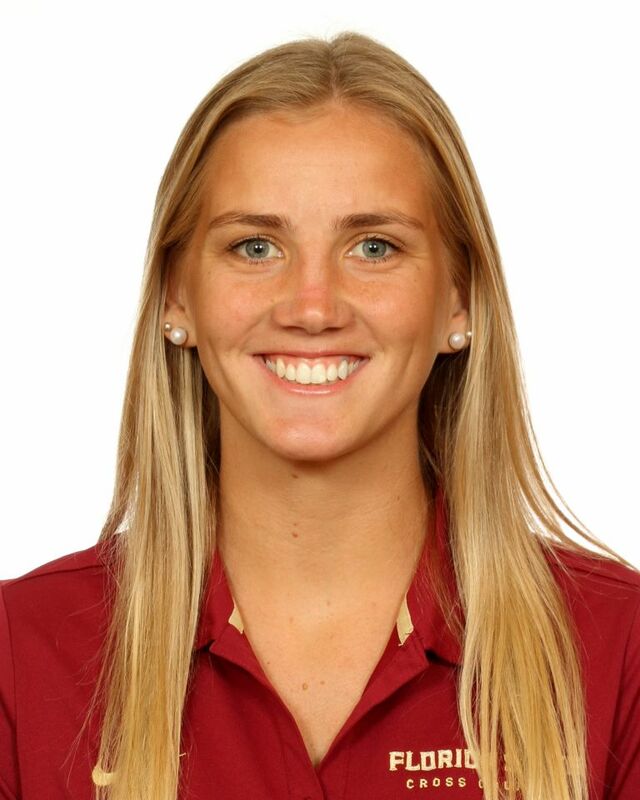 Second-year transfer from University of Wollongong in Australia gained valuable cross country experience in her first campaign with the Noles last fall…expected to contend for a spot among the top seven the second time around…excelled on the track, especially during the indoor season in the mile, helping FSU to the ACC team title. Cross Country: Maiden US collegiate cross country campaign included six meets for the middle distance track standout…finished 15th overall in debut at the Covered Bridge Open (18:26.9)…lowered her 5k XC personal-best to 18:20.7 at the Joe Piane Notre Dame Invitational…registered 6k XC-best 22:13.0 at the Crimson Classic…also in the lineup for the ACC Championships. Indoor: Saw action in four meets, highlighted by her performance at the ACC Indoor Championships…contributed a leg to the Noles’ fifth-place DMR which posted a season-best 11:17.73…came back to finish fifth in the mile in a PB of 4:45.82 as the Noles claimed the team title. Outdoor: Posted a pair of new personal-bests over eight meets, which included appearances at the ACC Outdoor Championships and the NCAA East Preliminary…opened the season running 800 PB (2:08.87) at the Yellow Jacket Invitational…knocked off time in each of her first three 1500m races, capped by a new PB at the Bryan Clay Invitational (4:20.82)…advanced to the 1500 final at the ACC Championships but placed ninth; one spot out of scoring…did not move on past the preliminary round of the 1500 in her NCAA East debut. Coming off outstanding 2017 season in Australia where she registered a new 1500 PB (4:22.16) at the Sydney Invitational and in the 800 (2:09.35) at the Hunter Classic…was eighth in the 1500 finals at the Australian Open National meet…helped New South Wales team to the 2015 national cross country title over 6k…best individual finish at cross country nationals was 15th…represented Australia in the 2015 Oceania Championships in the 800, 1500 and 4×400…was third in 3000 at the 2016 U20 national meet in PB (9:45.54)…was fifth in 1500 at 2015 U20 nationals…also has runner-up 3000 finish at all schools nationals…an outstanding student who will major in exercise science at FSU…daughter of Helena and Tim Skyring…born April 9, 1997.